Johnnie Burrell is an independent internet television producer in San Francisco, California. 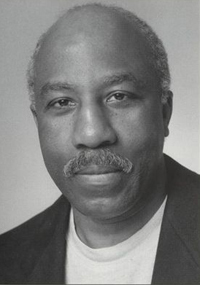 From 2007 to 2010, he hosted Johnnie Burrell Presents, which aired twice a month on cable television stations Channel 29 in San Francisco, California (now BAVC-Bay Area Video Coalition) and the Manhattan Neighborhood Network (MNN) in New York. Johnnie's previous show was titled Enterviews and sought to expose San Francisco viewers to a wide variety of cultures and viewpoints. He has also produced films of numerous public and private events for a variety of clients. Johnnie has 30-plus years of experience practicing and teaching martial arts, self-protection, and self-defense. He won a Gold Medal at the Pan American Karate Championships in Rio de Janeiro, Brazil, as a member of the United States Karate 'A' Team. These experiences led him to develop the concept of Selfprotectiontaishe, which he teaches in seminars and on a DVD that he filmed and produced. To learn more, please visit his Selfprotectiontaishe website. Johnnie is a long-time member of the Screen Actors Guild (SAG) and the American Federation of Television and Radio Artists (AFTRA). You can see him on both the big and the small screen. He had a prominent role in Ralph Ellison's King of The Bingo Game (PBS). 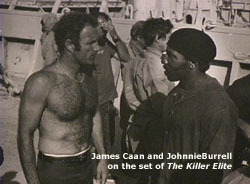 He played James Caan's karate teacher in the feature film The Killer Elite, also starring Robert Duvall and directed by Sam Peckinpah. Film producer Tiana Alexandra (Thi Thanh Nga) played the part of James Caan's wife in the film. 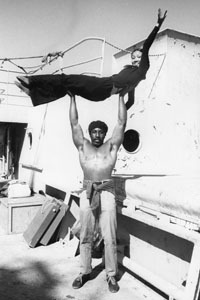 She's pictured here on the set with Johnnie. Her husband, screenwriter and producer Stirling Silliphant, wrote the screenplay for the film, in addition to screenplays for such Hollywood blockbuster films and television series as In the Heat of the Night, Route 66, Towering Inferno, The Poseidon Adventure, Naked City, Longstreet, and many others. 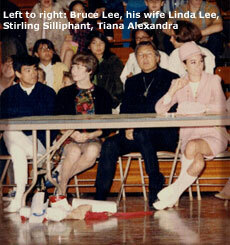 Tiana was Bruce Lee's first and only female student. Stirling was also a student. Johnnie's other activities include volunteering for the nonprofit Access Adventure, which provides wilderness and open space access for people with disabilities using innovative, wheelchair-accessible horsedrawn carriages. Last but not least, Johnnie is also an accomplished disk-jockey and party-planner whose corporate and other clients have included People Magazine, American Express, Yahoo, Intel, KCBS radio (San Francisco), the international touring company of A Chorus Line, Stanford University, the Screen Actors Guild, Sun Microsystems, Pepsi-Cola, Prudential-Bache Securities, Genentech, San Francisco's historic John's Grill (home of the Maltese Falcon), Wilson, Sonsini, Goodrich & Rosati, Standard Oil, Macy's, Goodby Silverstein & Partners, Sheraton Hotel Fisherman's Wharf in San Francisco, General Electric, Autodesk, CBS5 San Francisco, and more. Click to read letters of appreciation from the Chorus Line touring company and People magazine. The link that draws together all these paths he has taken is his passion for teaching self-empowerment and making connections between people and cultures. 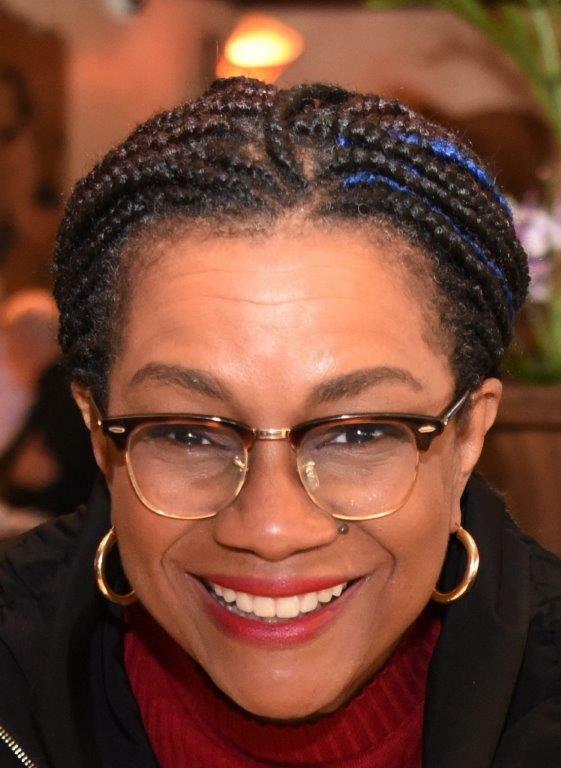 Community Advocate and Outreach Consultant Lin Robertson is proficient in five languages with extensive experience serving global communities on a “local” level. Lin began her career in public service in 1996, when she was called to launch the Aruba Foreign Investment Agency (AFIA) with the support of the U. N. World Association of Investment Promotion Agencies and Holland’s Ministry of the Interior and Kingdom Relations. Lin was hired by Aruba’s former Minister of Economic Affairs & Tourism, H.E. Robertico Croes, to determine the feasibility of, and eventually compose the proposal to launch, AFIA - a one-stop service agency. In that capacity, Lin trained local staff of public and private agencies to work as a team to better serve international customers; as well as foster partnerships between foreign investors, the Government of Aruba, local business, and local residents. Lin coordinated and led community outreach and townhall meetings; wrote articles for various print media; appeared on TeleAruba to introduce public information to her island community; and made public presentations to audiences in different venues that could facilitate the implementation of redevelopment projects in areas in need of a socio-economic facelift. Lin continued this important work until she moved to California’s Silicon Valley in December of 1998 where she would work for the City of San Jose in the Department of Public Works' Office of Equality Assurance. Eventually she would open The Labor Compliance Managers (TLCM) – a consulting agency - in 2005. On April 28, 2010, TLCM opened their first office as an LBE, WBE and MBE in San Francisco, at 4911 3rd Street in the Bayview Hunters Point community where she met Dr. Espanola Jackson. Dr. Jackson was a dynamic force of energy who also shared Lin’s commitment to community service. She worked tirelessly to advocate for positive changes that could lead to economic development especially within her neighborhood. She often called on TLCM to help her do needed research before writing candid letters about her community’s concerns to City officials. She was clear. She wanted change, and she wanted it now. Too many in her community were without jobs, despite the vast number of construction projects evident all over San Francisco. Because of people like Espanola, today San Francisco has a Local Hire mandate that was approved in December of 2010, as well as a Community Benefits Policy (SFPUC Commission Resolution No.11-0008) that was enacted on January 11, 2011. Espanola passed away January 26th, 2016, but her legacy continues. TLCM is one among various agencies that provides much needed services to promote local hire, workforce development, and labor compliance enforcement in the Bayview and other similar locations in San Francisco. a)	The successful completion of a first of its kind Jobs Training and Opportunities Program focused on Professional Services in which TLCM was able to support the SFPUC in collaboration with community based organizations to make trainees job-ready for entry level positions in construction administration. The 13-week course which ended on November 17, 2017, celebrated successful course completion by the first Cohort 1 group. b)	Multiple training conferences sponsored by the Northern California Carpenters Regional Council at their Apprenticeship training facility in 2004 and 2014, in collaboration with the U.S. Department of Housing & Urban Development (HUD) and the U.S. Department of Labor (DOL). Targeted audiences included public managers, contractors, construction workers, union representatives, and community advocates. c)	Multiple training conferences hosted by the San Francisco Unified School District (SFUSD) from 2007 through 2016 to teach contractors how to effectively comply with the District’s labor compliance rules, so that they remain qualified as responsible bidders that could benefit from local public work projects. Audience included small businesses who had limited experience in public works and/or the usage of web-based programs to report the payment of prevailing wages. d)	Multiple training conferences sponsored by the Department of Industrial Relation (DIR) in 2007 & 2008 that were coordinated by the Fresno Training Institute. Targeted audiences in Northern as well as Southern California were introduced to the minimum standards of compliance per the California Labor Code. While enforcement procedures have changed since those seminars were conducted, many of the requirements still hold true today. Lin’s professional expertise also includes extensive knowledge in Federal Davis-Bacon prevailing wage laws that may apply on certain SSIP and WSIP projects currently being implemented by the SFPUC. She is an auditor often hired to ensure that public and private clients are following compliance rules, and that workers found on her watch are paid what they are due. Since opening her consulting agency in 2005, Lin and her team have collected well over $5 million in previously underpaid wages to construction workers on various housing, school, infrastructure, transportation, hospital and other public work projects subject to local, State and Federal labor compliance rules. For additional information about TLCM, visit thelaborcompliancemanagers.com. With Lin's help, we will continue to provide stories about public housing, community development, workforce training, labor standards enforcement, and related news as it occurs nationally and internationally. Stay tuned!